According to an auto-industry source, the annual domestic car sales is expected to fall in FY’12, very first time in the history of last seven year. The sale of last month doesn’t meet the expectations of the automotive experts. The Director General of the Society of Indian Automobile Manufacturers (SIAM), Vishnu Mathur has addressed to the media that the constantly increasing interest rates are adversely affecting the entire sales growth of the Indian automotive industry and doesn’t seem to come down quickly. The domestic car sales target will be achieved only under a condition, when the February and March sales will grow by upto 10 to 12 percent, he added further. The car sales have always recorded growth every year since 2004. During April-January of this fiscal the domestic passenger cars sales have been reported a significant decline by 1.19 percent with 15, 74, 847 units over the sales of 15, 93, 850 units year ago, the figures released by the SIAM reveals. In late 2011, the automakers didn’t got succeed to make-up the fallen record sales even, after reporting the growth of 7.2 percent in month of January followed by the three consecutive month. However, the industry has registered a significant rise in month of November and December, which had been facing the downfall from last four months. The total car sales for the fiscal year to the last month stood at 1.57 million with sales of 196, 013 units in January only, submitted decline by 1.19 percent over same duration of a year ago. Indian middle class has its dependence upon the loans for purchasing the cars, which has been said to be one of the major reasons behind domestic car sales decline. With an intention to allure the buyers, many automakers have offered the various discount schemes and trade-in deals. 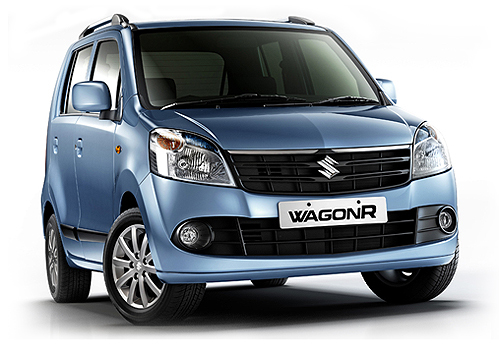 The India’s leading automaker, Maruti Suzuki has reported the growth of 5.2 percent in last month that has went through the worst market situation in October 2011 due to the Maneser strikes. The two-wheeler and trucks & buses sales rose by 10.51 percent (sales of 825, 887 units) and 13.5 percent (sales of 69, 859 units) in January respectively.